If you haven’t heard of the “Beyond Burger”, chances are you won’t be able to avoid the buzz much longer. The 100 percent plant-based burger has taken the fast-casual restaurant industry by storm, claiming to look, cook and taste just like the meat found in most burgers today. 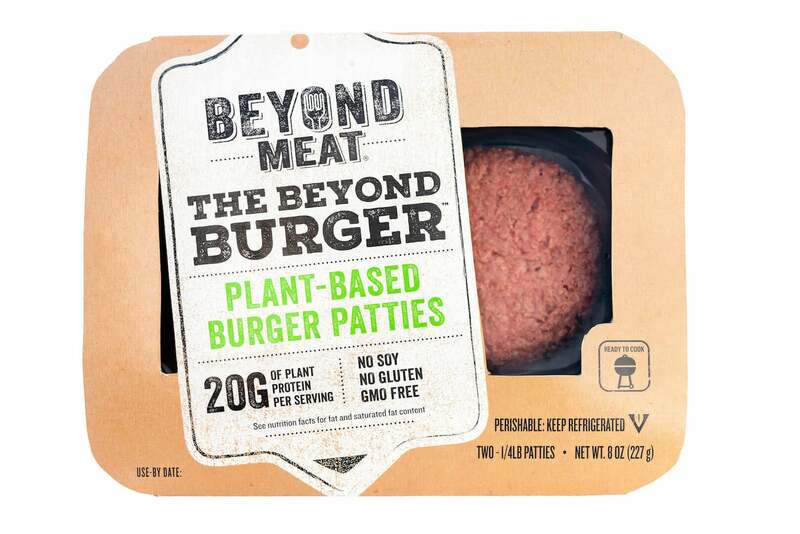 Created by the company Beyond Meat, the Beyond Burger is said to taste so similar to the real thing, that it actually “bleeds” like a beef patty. And it’s not just popular among vegans. In fact, 70 percent of its clientele are meat eaters. The Beyond Burger has made its way from grocery stores into some of the most prominent fast-casual restaurants in North America, including T.G.I.Fridays, Bareburger and BurgerFi. And this summer, Beyond Meat announced that the Beyond Burger will be launching at nearly 1,000 A&W locations throughout Canada in July. So, what does this mean for the restaurant industry and how we market it? For starters, we can’t ignore the rapidly growing health-conscious, vegetarian and vegan populations that are demanding to be heard. Especially as 6 percent of the United States now identifies as vegan – a 600 percent increase since 2014. As this demographic continues to grow, fast-casual restaurants and marketers must keep up with the demand in order to avoid losing a growing share of the market, or worse, becoming irrelevant. This could mean introducing vegan and vegetarian options to menus where it makes sense. Through our work with Rubio’s Coastal Grill, we’ve seen firsthand how the health-conscious consumer has had an impact on the industry. Over the past year, Rubio’s has added a number of vegetarian/vegan options to its expansive menu. From grilled veggie blends to brown rice and quinoa bowls, Rubio’s has done a great job of introducing items that appeal to a broader network of consumers. Other examples of restaurants and specialty food shops doing a good job at this include Salt & Straw, the Portland-based ice cream company, which offered an all-vegan menu this past January, and Qdoba, which introduced a Vegetarian Tier initiative rewarding customers for choosing meatless dishes. The bottom line: people are more conscious of food choices than ever before. Restaurants that pay attention to growing trends and cater to the needs of consumers are more likely to stand out in the competitive landscape.